Hey! Today's Valentine's Day! Did you forget? 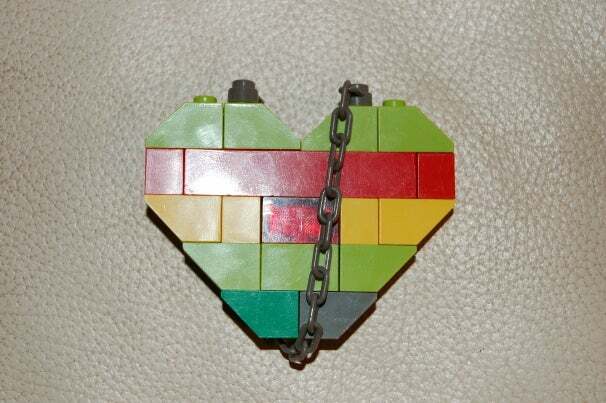 If so, this Lego heart by Sir Colton on Instructables is a quick, easy way to say "I love you"--depending on how nerdy your lover is, anyway. This project takes only a few minutes to assemble, and you can make it by raiding your Lego collection (what self-respecting geek doesn't have a cache of Lego bricks somewhere?). Add in a rose or a card, and you should be set! Check out Instructables for the full instructions. Sir Colton says that it uses some "semi-rare" Lego bricks, but looking at the instructions, you should be able to recreate it using a standard Lego set (though you may need to substitute in different colors). Nor nerdy enough for your significant other? How about some Giant Microbes instead? If your lover's not a geek, well, you're on your own.